Everyone is looking for that extra boost that propels them when they feel like quitting. It’s the extra boost that turns losing teams into winners. Some find an extra boost in sports drinks, energy pills, etc. 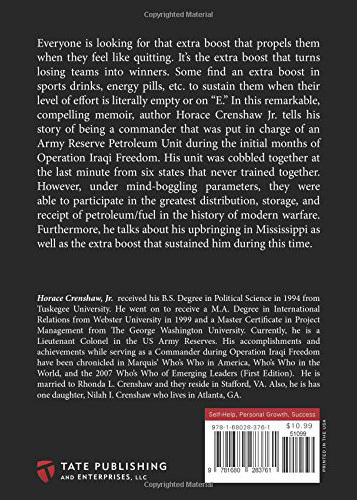 to sustain them when their level of effort is literally empty or on “E.” In this remarkable, compelling memoir, author Horace Crenshaw Jr. tells his story of being a commander that was put in charge of an Army Reserve Petroleum Unit during the initial months of Operation Iraqi Freedom. 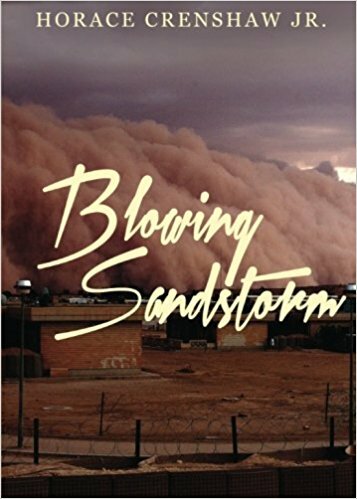 His unit was cobbled together at the last minute from six states that never trained together. However, under mind-boggling parameters, they were able to participate in the greatest distribution, storage, and receipt of petroleum/fuel in the history of modern warfare. Furthermore, he talks about his upbringing in Mississippi as well as the extra boost that sustained him during this time. *Note: You can purchase a signed copy of Blowing Sandstorm directly from the author for $7 which includes free shipping. 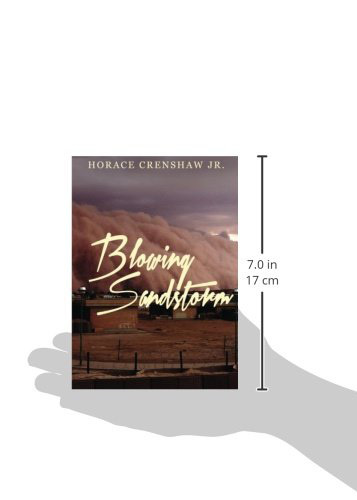 Click the Order Now page and you will be prompted to Paypal (a secure way to purchase).